Strafford Veterinary Clinic is proud to serve the Strafford, MO area for everything pet-related. Our veterinary clinic and animal hospital is run by Dr. Kenneth Mallard, who is a licensed, experienced Strafford veterinarian. Our team is committed to educating our clients in how to keep your pets healthy year round, with good nutrition and exercise. 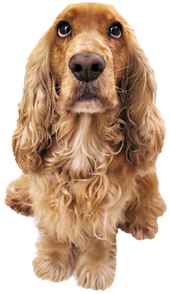 Strafford Veterinary Clinic stays on top of the latest advances in veterinarian technology and above all, remembers that all animals and pets need to be treated with loving care in every check-up, procedure, or surgery. Our mission is to provide high quality veterinary care and reproductive services. We are committed to making every visit to our office a pleasant experience through compassion, knowledge, and superior customer service. We will forever strive to be the best in Southwest Missouri at client education and help our clients to make informed decisions about the care of their pets. We will conduct and govern ourselves in accordance with God’s directives not to strive, but to be gentle unto all men, apt to teach and, in meekness, to instruct all them that we serve.